Want to add a little holiday pazazz to your holiday table this year? First, click here for an easy Sweet Potato Cupcake with Marshmallow Frosting recipe, then dress 'em up with some freebies! Whats included you ask?... 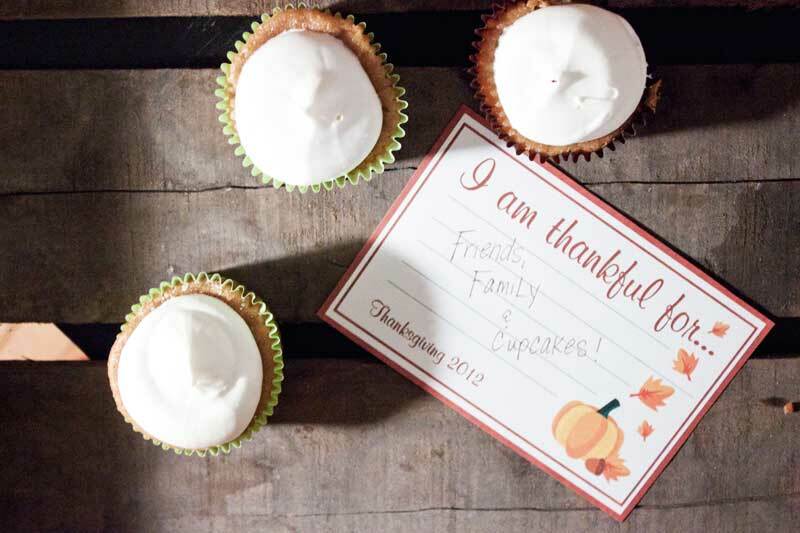 1-inch circle cupcake toppers, a folded table card for marking seating or food, and lets not forget that on Thanksgiving we should remember what we are thankful for, so I've included a little card for your and your loved ones to share with each other. OH AND a full sheet of pattern for any extras. Click HERE to download the 3 page file! 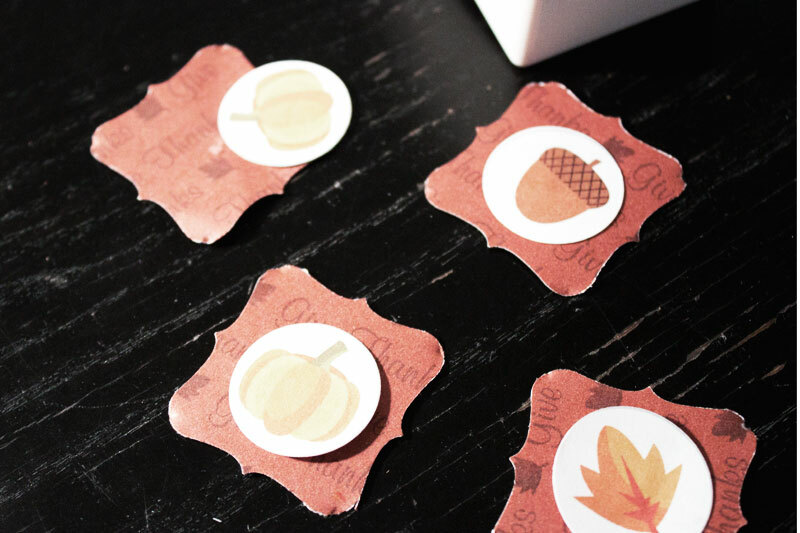 The cupcake toppers are super easy to assemble, and the table cards just take some quick easy cuts! Using a 1-inch circle punch, punch out all the circles. 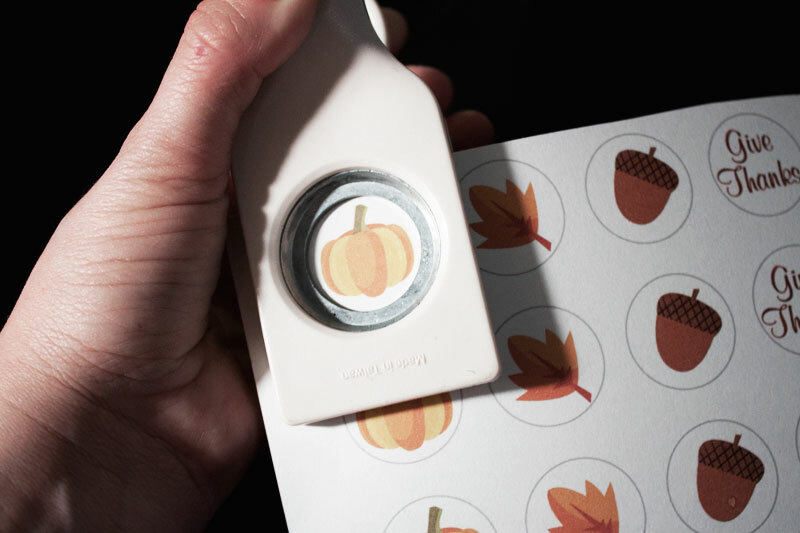 I love Martha Stewart Craft punches, this is the one I have but any 1-inch circle will work (or scissors if you have a steady hand!). Cut out any shape larger than 1-inch for the backing (optional of course), I used this one. Adhere the two pieces together, using glue, tape or glue dots. Then I typically glue to a popsicle stick, but I couldn't find any at home, so I used straws! Use whatever you have that will work! 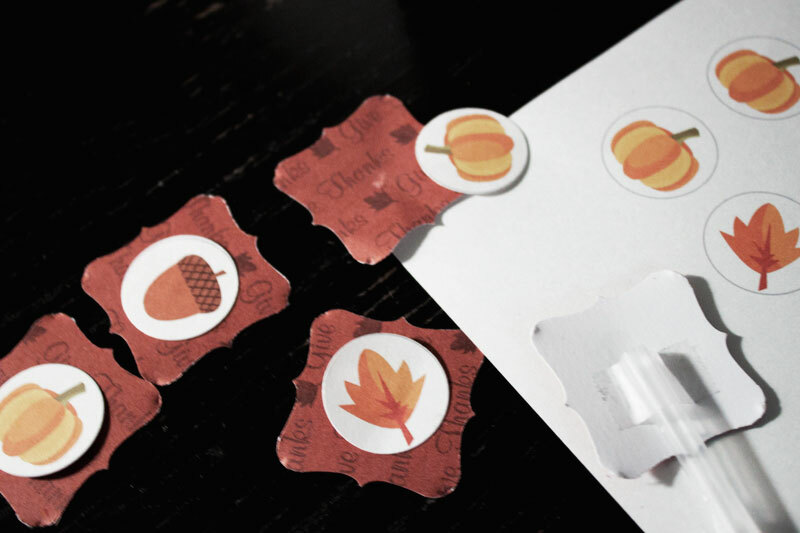 Want a recipe card too? Click here for that too! Do you have any fun Thanksgiving plans this year?